1. Nissim Behar, born in Jerusalem in 1848, is considered the father of modern Hebrew language education. He was the son of Rabbi Eliezer Behar, originally of Rumania, who taught him Talmud. But he learned modern Hebrew from Eliezer ben Yehudah [see my post of 2/16/13]. 2. In 1863, the Behar family moved to Constantinople. There, Adolphe Cremieux [see my post of 2/19/14] spotted him as a gifted student and in 1867 arranged for him to go to Paris to study at the Ecole Orientale. 3. Having complete his studies, Behar returned east to organize schools on behalf of the Alliance Israelite Universelle in Aleppo (1869), Bulgaria (1874) and Constantinople, where he headed the school (1873-82). In 1879 he authored a biography of Cremieux in Judaeo-Spanish (Ladino). 4. In 1882, he returned to Jerusalem, where he was involved in founding the Alliance Israelite Universelle. He both directed the school (1882-7) and taught there. He was a proponent of the “direct method” of language education, which involved submersion in the language. If you’ve studied Hebrew in an ulpan, you’re an indirect beneficiary of his work. 5. In 1901, having ended his teaching career, he moved to New York City to represent the Alliance. 6. In 1906, he founded the National Liberal Immigration League, the mission of which was to lobby against anti-immigration laws such as literacy tests. He was voluble, speaking before Congressional hearings and in other ways giving a public face to a cause that other Jewish organizations thought better handled behind the scenes. He was active in the league until 1924. 7. He was a founder of the Federation of Jewish Organizations, an editor of the Federation’s Review, and a founder, too, of the Jewish Big Brothers League. 8. Nissim Behar died and was buried in the US in 1931. The following year in Jerusalem, his remains were re-interred beside those of his father on the Mount of Olives. 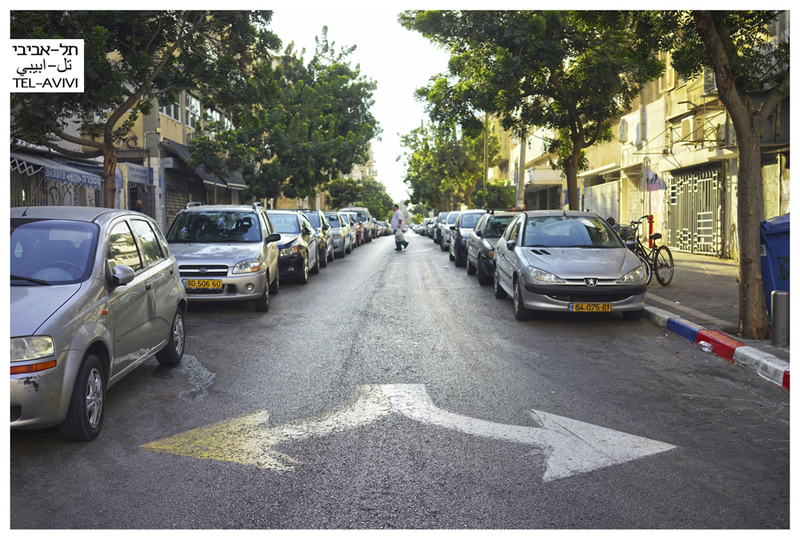 In Jerusalem, you’ll find Nissim Behar Street running north-south between Agrippas and Bezalel. 1. Menahem Begin was born in Brest-Litovsk in 1913 to a mother who came from a line of rabbis and a father who was a timber merchant and ardent Zionist. 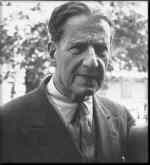 He studied first in cheder and then in schools associated with the religious Zionist movement. In his teens he was sent to a Polish government school, where he gained a secular education; he studied law at the University of Warsaw, graduating in 1935. 2. From an early age, he was a member of the Zionist movement. A follower of Jabotinsky [see my post of 12/31/12], he joined the youth branch of the Betar movement, rising quickly to become head of Betar Czechoslovakia in 1936 and of all Poland – the largest branch, with 100,000 members – in 1938. In this capacity he traveled frequently to regional branches. 3. He escaped Warsaw for Vilna three days after the Nazi invasion began in 1939. In 1940, he was arrested by the NKVD, tortured and sentenced to eight years in the gulag. In 1941, he was permitted release to join the Polish army, which in 1943 was evacuated to Palestine. There he was given a leave of absence to stay and fight. He joined the Irgun though he was voluble in his criticism of their leadership as being too cooperative with the British. 4. In 1944, he assumed leadership of the Irgun, proclaiming a revolt against the British – a move that was opposed by the Jewish Agency. When in 1946 he ordered the bombing of the King David Hotel, the British placed a bounty of ten thousand pounds on his head. 5. After the founding of the State of Israel in 1948, the Irgun was disbanded. Begin founded the Herut (Freedom) party in opposition to the labor party, Mapai, and was elected to the first Knesset, with a nationalist agenda. 6. In 1977, after three decades of labor dominance, Begin became the sixth Prime Minister of Israel as a founding member of Likud, which was a consolidation of Herut and other parties. 8. During Begin’s term in office, impoverished towns and neighborhoods – occupied primarily by Sephardi and Mizrahi Jews – were upgraded; many of the measures he took moved the economy away from socialism and toward capitalism. With the prime minister’s blessing, many new settlements were built in the West Bank and Gaza, quadrupling the Jewish population there. 9. 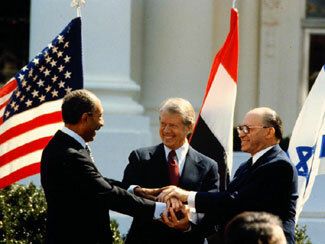 In June 1981, Begin authorized the bombing of a nuclear plant in Iraq; in 1982, the invasion of Lebanon to fight PLO strongholds – resulting in a protracted war that sucked at the life and soul of Israel’s self-identity. 10. His wife, Aliza, died in 1982, and he resigned from public life in 1983, spending the remainder of his life in seclusion. Begin died in 1992 and was buried on the Mount of Olives. An estimated 75,000 mourners turned out for his funeral. 10. His written works include The Revolt, about his days in the Irgun; and White Nights, about being a prisoner in the Soviet Union. 12. Visitors to Jerusalem may wish to visit the Menachem Begin Heritage Center. A museum of his life and legacy, it also awards an annual prize to a person or organization that has done important work for the benefit of the State of Israel and/or the Jewish people. 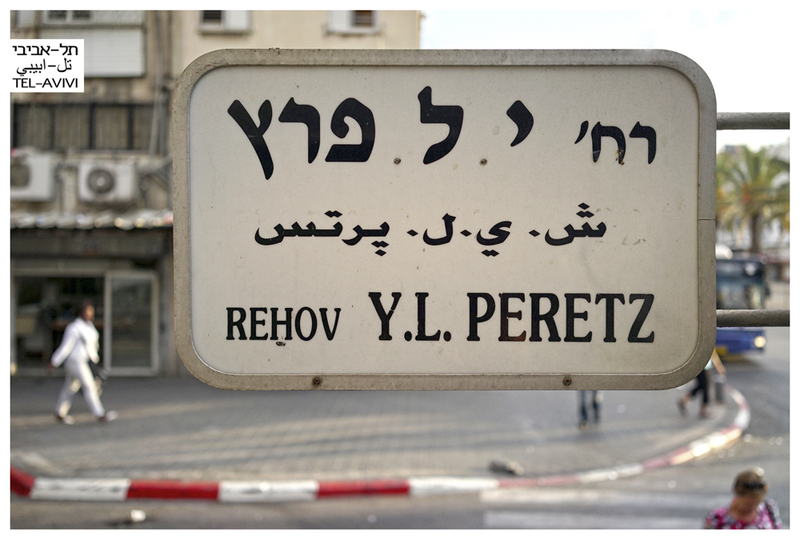 In Jerusalem, Sederot Menahem Begin runs from north to south just west of Hebrew University. 1. Stephen Samuel Wise was born in Budapest in 1874 and brought to the United States at the age of 17 months. His maternal grandfather had created the Herend Porcelain Company. When Wise’s father tried to unionize the company, it is said that the grandfather gave the family one-way tickets to New York! 2. Young Stephen was the son and grandson of rabbis, and he wanted to be one as well. He graduated from Columbia at the age of 18 and was ordained the following year, 1893. He went on to serve as rabbi to a number of American congregations, pioneering interfaith cooperation, social service and civic leadership. He and his followers founded the Stephen Wise Free Synagogue in New York City in 1907. 3. He was a founder of the New York Federation of Zionist Societies and led in the formation of the national Federation of American Zionists in 1898. He served as secretary of the World Zionist Organization. 4. 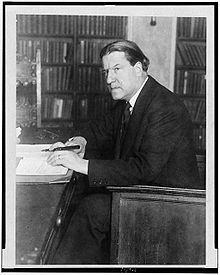 During the years 1916-19, he acted as intermediary to President Wilson on the Balfour Declaration and other matters and is said to have been instrumental in influencing Wilson to support the Balfour Declaration. At the Paris Peace Conference in 1919, he spoke on behalf of Zionist aspirations. 5. He served as vice-president of the Zionist Organization of America, 1918-20, and as its president, 1936-38. He led in the organization of the American Jewish Congress, 1916-20, served as its vice-president, 1921-25, and as president or honorary president for another 24 years until his death. 6. During the 1920s and 30s, he was a friend of the Soviet Union, and for this he was known by the sobriquet “Red Rabbi.” In response to the rise of Nazism, he encouraged the formation of the World Jewish Congress and headed it until his death. In this role, he presented the Jewish cause to President Franklin D. Roosevelt, to the State Department and to the general public. 7. He was co-founder of the NAACP and the ACLU and was prominent in other liberal American causes throughout his life. 8. More about his fight against Nazism: In 1933 he urged a Jewish boycott of Germany. In November 1942, he held a press conference in Washington, DC, announcing that the Nazis had a plan to exterminate European Jewry and had already killed two million Jews. He made this statement based on a message from Switzerland that he had received in August 1942. Did the story make any front pages? No. 9. He had his share of disapprobation. He was a close friend of Franklin D. Roosevelt and was criticized for spending too much of his time trying to protect the president’s good name. And he was said to have halted relief packages to Jews in Europe, fearing accusations of providing aid to the enemy. 10. He died in New York City in 1949 at the age of 75. In Haifa, you’ll find Stephen Wise Street in Ramat Sha’ul, west of Tchernikovsky.